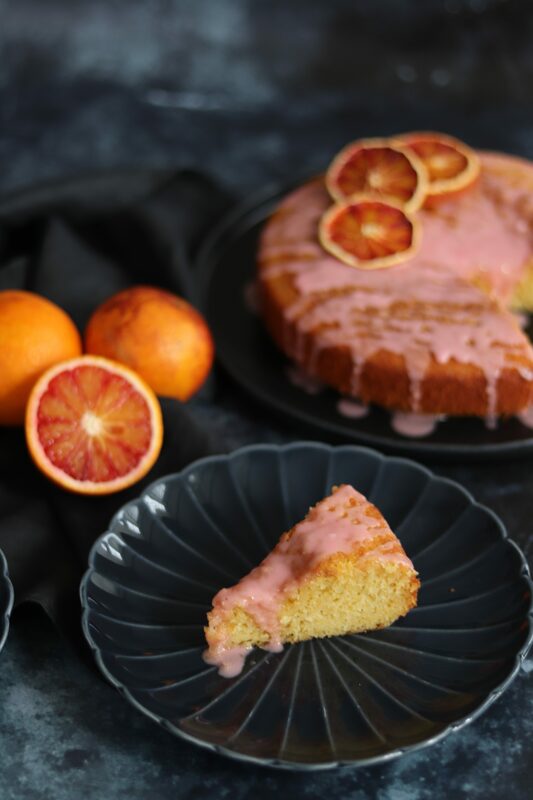 With blood orange juice in both the cake and drizzle, this Blood Orange Drizzle Cake makes the most of the beautiful blood orange. 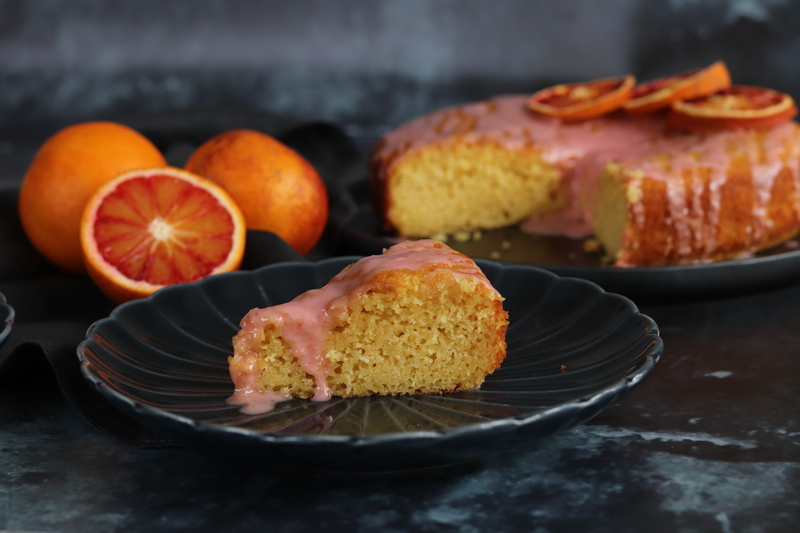 I had never tried a blood orange before making this cake. Every year I remembered seeing them and hearing people rave about them so this year I decided it was definitely time I saw what all the fuss was about. I looked for them in a couple of supermarkets with no luck. I then realised that I could order them to come with my organic vegetable box which was quite exciting! 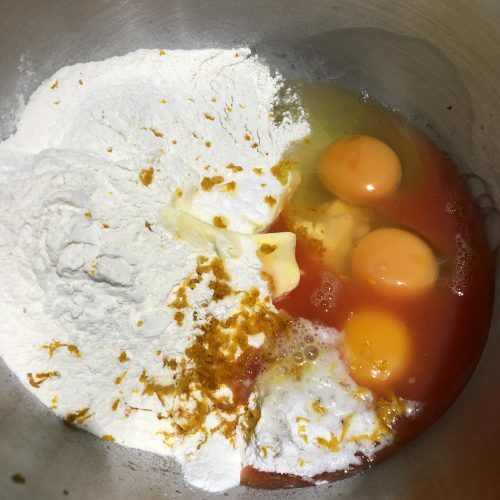 As soon as they came I knew I wanted to tweak the Double Orange Cake already on my blog. This recipe is one of Mary Berry’s which is really delicious. 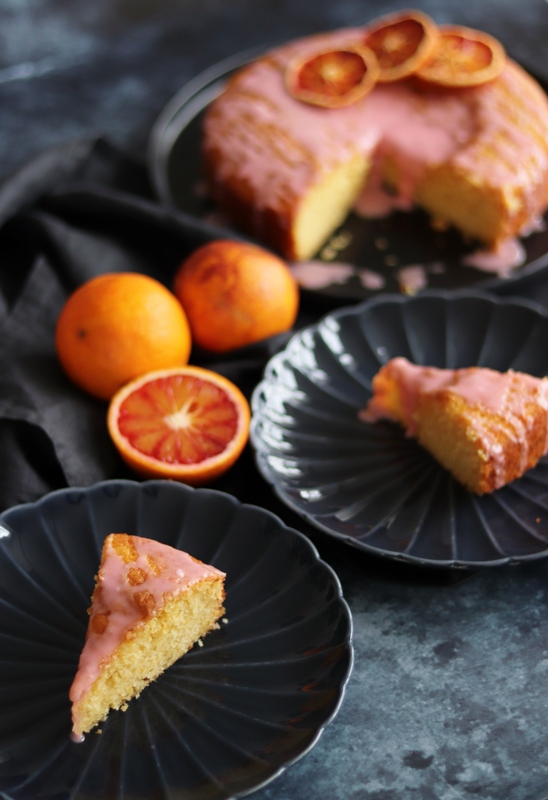 I wanted to tweak this recipe to create this Blood Orange Drizzle Cake. I must admit when I cut into the blood oranges for the first time I was expecting them to be a deeper red. I’ve since realised that there are three different blood orange varieties and they can vary in their redness. The blood oranges I used had a lovely mottled red colour that had a beautifully vibrant pink juice. The flavour of the blood oranges will also vary depending on which you use. They are all known for having a stronger taste and aroma than normal oranges with a slightly sweeter taste. If you haven’t tried them before I would definitely recommend it if you can get your hands on one! The blood orange season isn’t particularly long. Depending on the variety you can find them between December and May. Unlike some other fruit, I believe you will struggle to find these outside of their season which is a good thing in my opinion. So make sure you get them while you can! 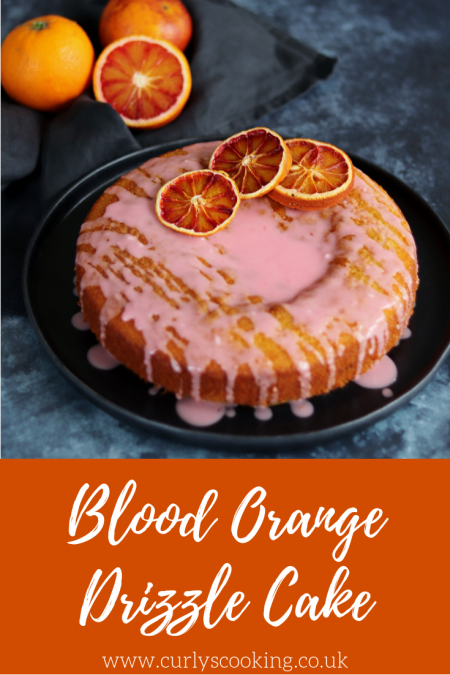 I decided to decorate the Blood Orange Drizzle Cake very simply with the drizzle and some dehydrated blood orange slices. 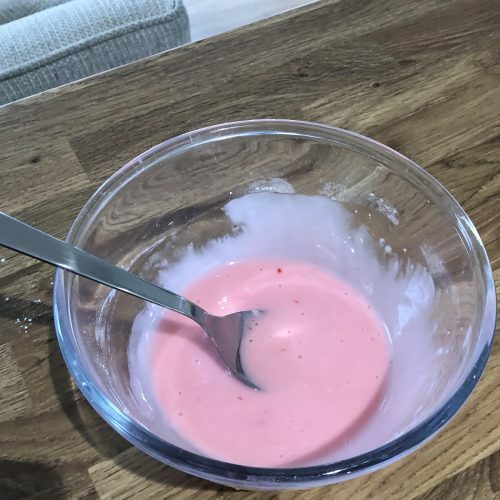 The vibrant colour of the juice created such a vivid pink drizzle that you may think that food colouring has been used. 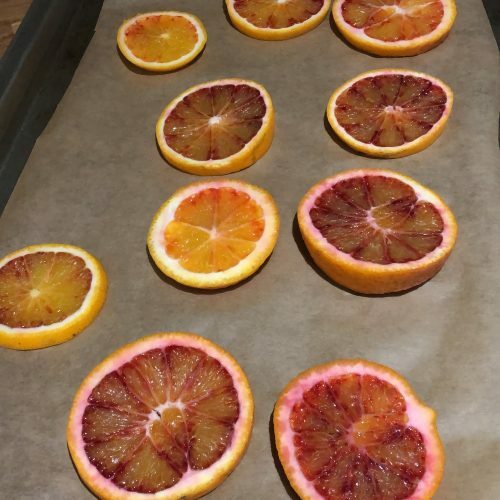 The dehydrated blood orange slices are very simple to make and add a lovely and natural decoration. However you can decorate the cake with some finely grated blood orange zest. 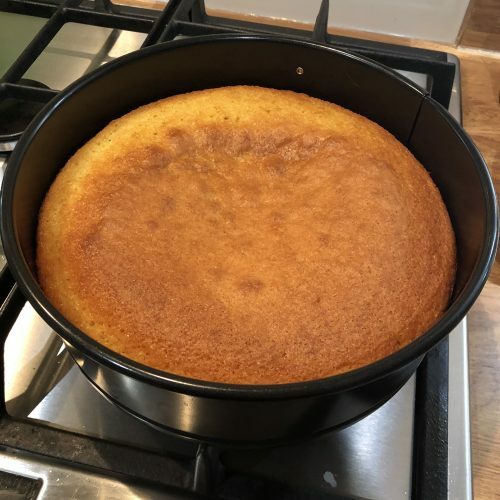 This entry was posted in Cakes on January 20, 2019 by Curly. It looks and sounds delicious and I love the dark and moody photography to go with it! My family love drizzle cakes so it’s definitely a recipe they’d enjoy too. Thanks Mandy. It’s so bright isn’t it! What a delicious looking cake! I haven’t found any blood oranges this season yet. I really need to get some and get baking! 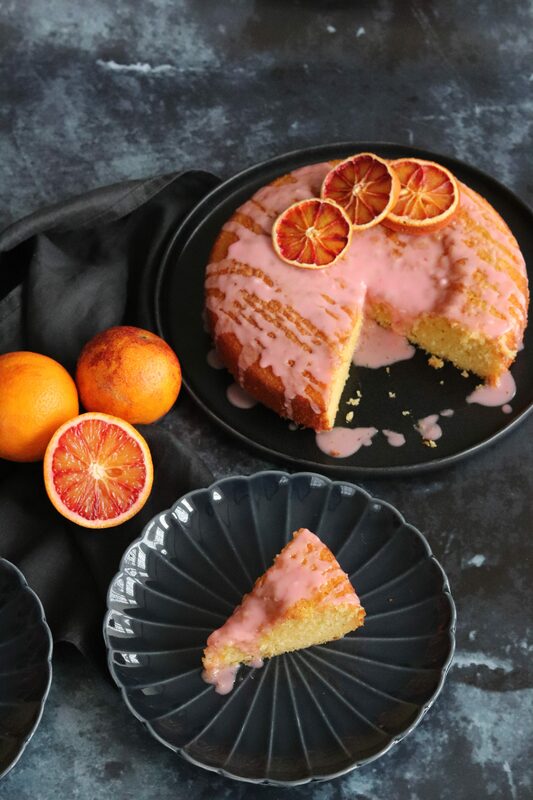 I have a mild obsession with blood oranges This cake looks absolutely mouth watering. I love the colour of that drizzle! Such a beautiful cake. I haven’t seen any blood oranges yet, but I need to get hold of some to do my own baking. This looks like there is a slice with my name on it. Thank you 🙂 I think a lot of people are struggling to find them at the moment. Hopefully you’ll find some soon! Thank you. Haha they’re so beautiful aren’t they! This is a beauty. 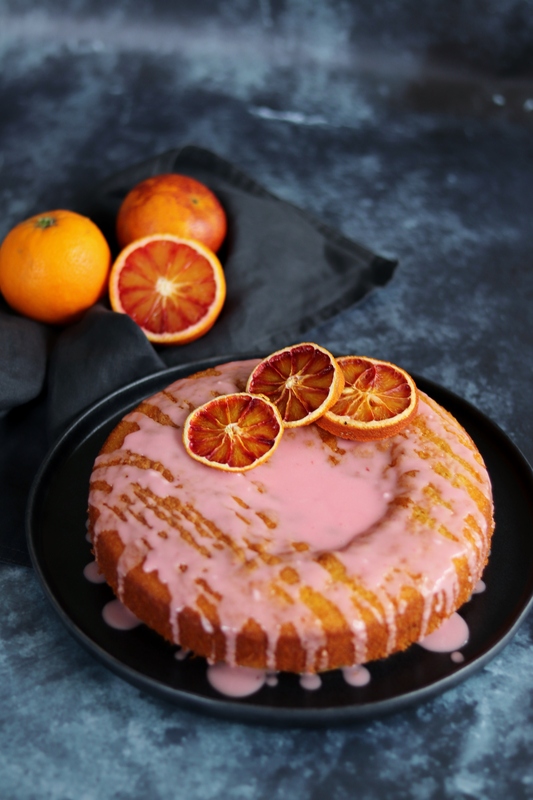 I love the colour that blood oranges send the icing – it makes a slice hard to resist. Thanks Lucy. It’s so vibrant isn’t it! I’m glad I’m not the only one! 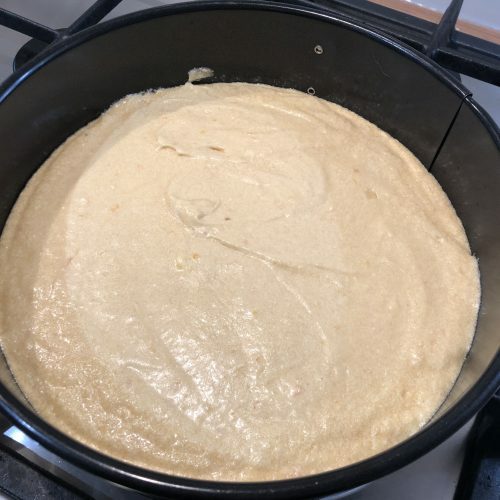 I love a simple cake. Sometimes you just don’t have the time to be messing around with layers and decorations! 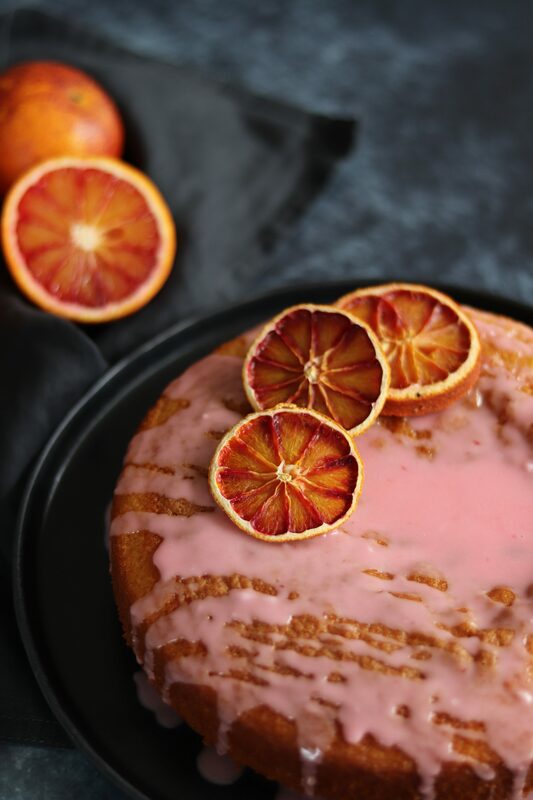 This look stunning, I just love the colour of blood oranges! Thanks Kat, they’re so pretty aren’t they! Gorgeous photo of another stunning bake! OMG! It look so tempting differently yummy in taste. I will definitely try this. This is amazing recipe, It looks super delicious I will definitely try this one.